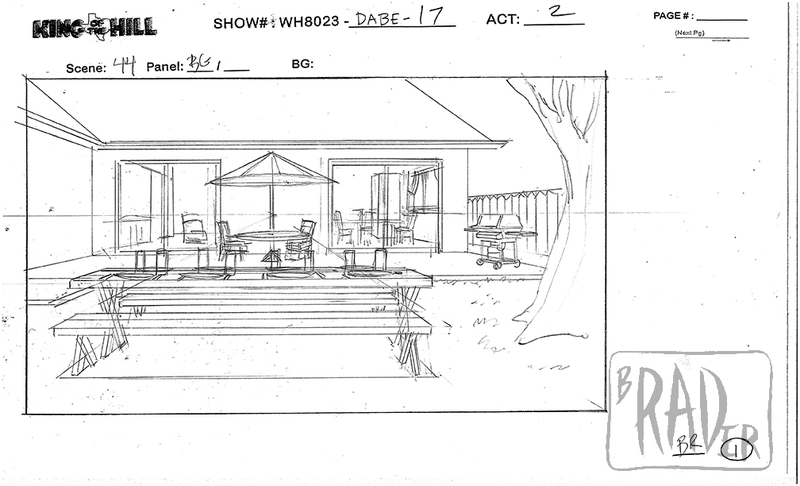 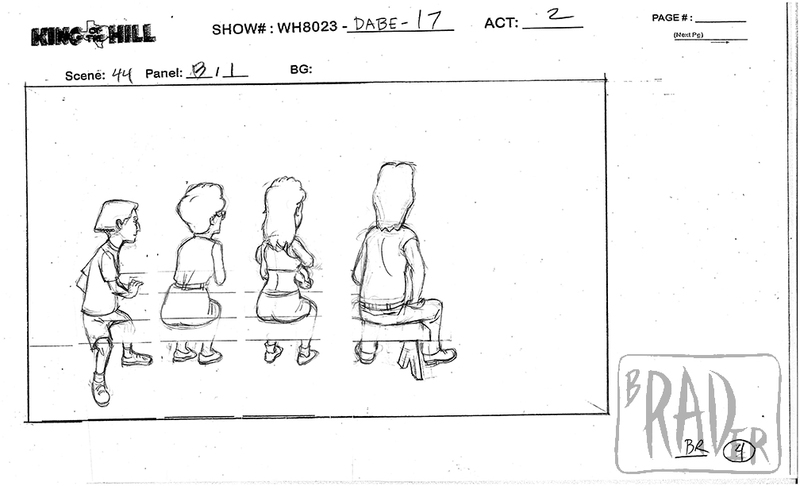 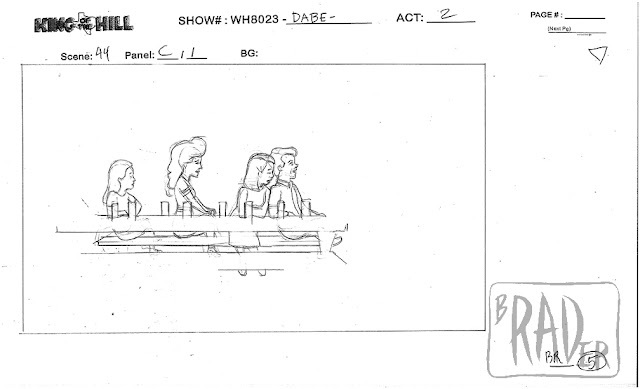 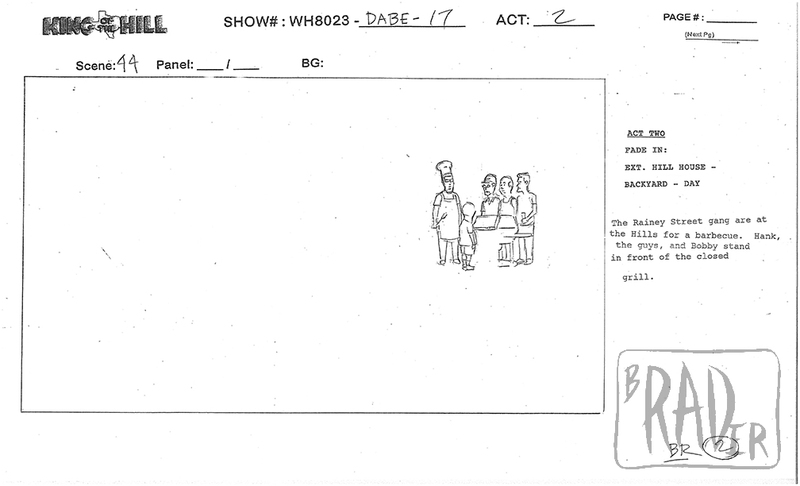 As I mentioned in part a, KotH used the storyboards as layouts. This meant that we had to board all the characters and elements on separate layers. Unfortunately this renders the storyboards useless as presentation or portfolio items. 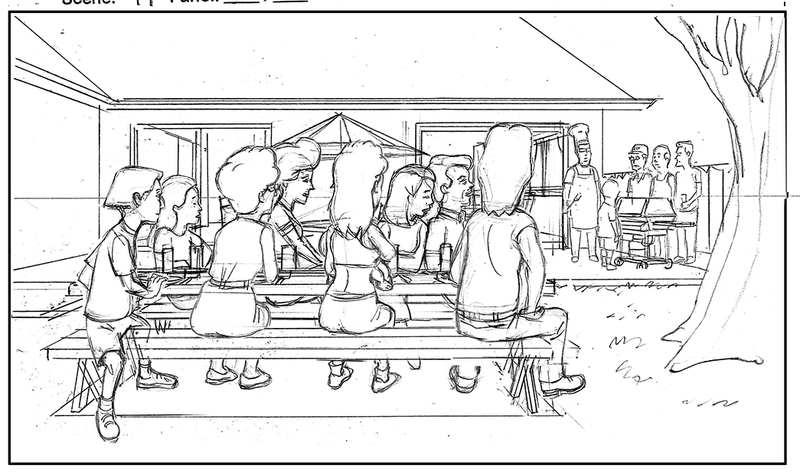 To make them serve the latter function I had to spend the better part of a day combining the layers into one scene. Here are all the elements that went into making Page 1, panel 1, followed by the combined panel.